Founded in 1952 and one of the most trusted and renowned brands of surf-wear anywhere. 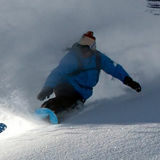 O’Neill is well known for its stylish and high performance sports clothing including Wet suits to Snow Wear. O’Neill, is the original Californian surf, snow and lifestyle brand, it was originally founded by Jack O’Neill who transformed his intense passion for surfing into a brand name inspired by his love of the sport. One of the initial successes was the development of the the world’s first neoprene wet-suit, enabling Jack to enjoy longer surfing in the freezing sea of North California. The first surf shop was opened in Santa Cruz in 1952. O’Neill is one of the most famous names in wet-suit design available all around the world. The O’Neill psycho freak product recently won the Euro SIMA industry award for design, innovation and product development. The strong success of the O’Neill wet-suit brand is built on the knowledge and innovation of its founder who loved the freedom and exhilaration of the surfing sport. The design and development improves year on year keeping the O’Neill name high in the world of surfing. Not only do O’Neill develop and sell wetsuits but they are also a leading supplier of leisure and beachwear for anyone who loves the freedom and the lifestyle of the coastline and relaxing holidays. They have a great range of Men’s, Women’s and children’s surf and leisure wear clothing suitable for all sorts of occasions and activities. O’Neill is famous for their innovative and striking designs and high quality products for which their customers have come to expect.